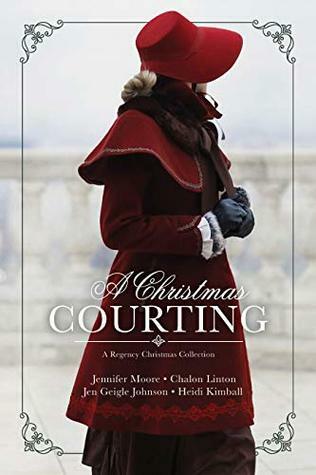 A Christmas Courting by Jennifer Moore, Heidi Kimball, Chalon Linton & Jen Geigle Johnson. Publication: October 1st 2018 by Covenant Communications. This holiday season fall in love, with heartwarming tales of Christmases past in A Christmas Courting, an enchanting collection of Regency romances. Lord Covington has planned a quiet holiday with his grieving mother but finds his plans rudely disrupted when lovely Cassie Weatherby and her young siblings are invited for Christmas. Despite his reservations, however, he begins to recognize in Cassie a kindred spirit. When obligations keep her in London, Keturah Hensley sadly anticipates missing the festivity of Christmas at her family's country home and the company of her best friend, Christopher Shepherd. When she learns that Christopher will be joining her family in London for Christmas, she is delighted--but her elation is short-lived. Christopher is coming to Town to court the woman of his dreams, and Keturah fears she may have lost the chance to win his love. From childhood, Patrick, Duke of Montrose, knew he'd found his perfect match in Lady Alice Tarrington. When he's sent on a grand tour, Patrick is confident he'll marry his sweetheart upon his return. But when he receives word that Alice is to marry another, will he be too late to claim her heart? Francie and Gerard have been friends since childhood, but their friendship ended when she declined his heartfelt proposal of marriage. However, when her interactions with Gerard's holiday houseguests provoke in Francie unexpected jealousy, she realizes she must fight for Gerard's affections or risk losing him forever. I like stories around Christmas. I like getting excited for the season. I like reading short stories only around Christmas! And these four stories certainly got me excited for the season. Especially for snow (of which is a rarity since we moved to South Carolina). I'm not so sure I like how Christopher started his courting to the love sick Keturah! Just sayin.... Good thing she is a kind and forgiving person. Now what he did, you will have to read for yourself. And prepare to shed a few tears in the Love and Joy Come to You story! I loved the siblings names! I don't like stories of jealousy. It is such an ugly emotion but sometimes it pushes us forward too! IF you like short stories, competition, ice skating, snow, Christmas, wassailing, grief, joy, love, chemistry (as in chemical compounds), jealousy, games in love, coming to someone's rescue then this might be for you. 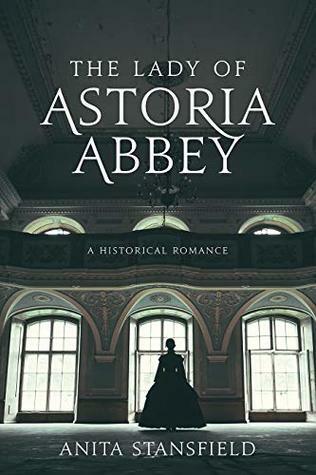 The Lady of Astoria Abbey by Anita Stansfield. Bess leads a quiet life, intent on easing the burdens of her widowed father. She acts as maid, cook, and assistant in his medical practice—but she is wearied by the thankless work and her father’s lack of kindness. And then a miracle happens. Lady Agatha Buxton of Astoria Abbey is seeking a physician for her ailing son, Hugh, and, sensing that Bess is trapped in her situation, offers the young woman a position as nurse. Despite Bess’s father’s objections, she accepts—and her life is forever changed. Bess and Hugh enjoy an immediate bond of friendship, which quickly blossoms into love. Despite his dire prognosis, the couple makes the bittersweet decision to wed, embracing what little time they have. Their tender union ushers in a season of both joy and heartbreak, and Bess discovers greater meaning in life than she’d ever imagined. As she’s confronted with the sorrow of living without Hugh, Bess finds herself at a crossroads—will she have the courage to trust her heart and allow herself to love again? I have to say that I had a hard time getting into the book. My mind kept wandering and I wanted to give up. I also was wondering why I agreed to read the book at first. She is totally setting herself up for heartbreak! What would be happy about this kind of book?! But then at around ½ way through, I got into it because things started to fall into place and changed and I cried through most of the last 1/3rd of the book. Ugh, I had such a headache from crying! There was a twist that I totally did not see coming. In fact, from the description on the back of the book I started trying to figure out how it would end and I was totally floored at what happened! It was not anywhere near how I imagined it would be. I must be as naive as the main character, Bess, was! Bess works with her doctor father. Her mother died many years ago and Bess finds herself working in the capacity of many people. She is his cook, housekeeper, and his assistant. She never has any time for herself. Meanwhile, her father gets to sit down in the chair in the evenings and read. He has never hugged her, told her he appreciated all that she did or told her he loved her! He is respectful to others and to his patients but not to her. Bess is maybe a little naive on life. After all she has never been out in society as she has been by her father’s side since she was a child. All she has ever wanted was her father's love and approval. But she definitely knows her medicine! So when this offer to be Hugh’s personal nurse comes up she takes it. She finds the situation empowering. Lady Buxtom is like a mother to her. Bess is kind and finds friends in the people who work in the home too! Bess feels free. She finds love with Hugh. His two friends from childhood are always there to help him with his personal needs and she becomes friends with them. Clive more so than the other! There is heartbreak in the story because we do experience the death of Hugh and then there is great joy at the end. Sprinkled in with a twist and some surprises that I really really did not see coming! If I hadn’t of had a hard time getting into the book, and not originally felt the chemistry of her love I would have given it a 5 stars. But the ending, so made up for that! I want to say more but you really need to read it for yourself. "But remember, darling, surrounding a child with love and even providing them with luxuries does not a spoiled child make." "No matter how rich or poor a child may be; no matter how few or many people they have in their lives who love and care for them-it is the love and discipline with which they are guided that makes their character. In my view, being spoiled means being raised with an attidtude of arrogance or entitlement, as opposed to understanding humility and equality and knowing that they need to have respect for all people and gratitude for all things. ..."
If you like stories with a twist, finding love not once but twice in a lifetime, stars, death, ugh I can’t give any more ideas away because they would be spoilers!! Anita Stansfield, the LDS market's #1 best-selling romance novelist, is an imaginative and prolific writer whose romantic stories have captivated her readers. "With sales approaching a half million, Anita Stansfield has clearly found a niche in this market," said Nicole Martin, Publicist for Covenant Communications. 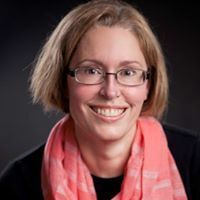 "Her popularity stems from her ability to empathize with and write about the issues that LDS women deal with on a daily basis." "I always write for women like me. It's through my interaction with other women that I've found there are some personal and emotional struggles that are typical," said Anita Stansfield. "I hope my writing makes women feel better about themselves and shows them these real problems can be solved through gospel principles." 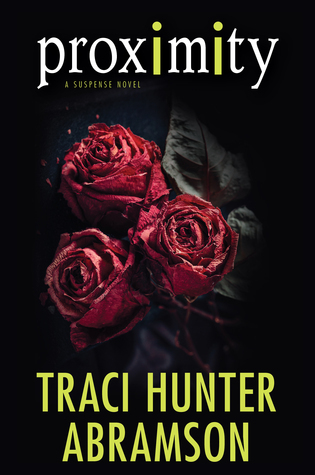 Proximity by Traci Hunter Abramson. Tia Parker always seems to fall for the wrong guy. But when she meets Evan Spence at a friend's wedding, it seems like she's finally found Mr. Right. Their spark is undeniable, but reality may extinguish any hope for a future: they are separated by thousands of miles. As the couple struggles with the pitfalls of pursuing romance long-distance, Tia is taken off guard by a new arrival in town. Colby Farren is handsome and charming and has made it clear he's interested in Tia. Yet despite his obvious infatuation, Tia can't seem to get Evan out of her mind. Caught between the attention of two very different men, her complicated love life is soon eclipsed by much more sobering concerns. A break-in at her apartment is just the first in a series of bizarre events, each bringing her one step closer to a dangerous liaison. And knowing who to trust could be a matter of life and death. So I thought this was going to be a triangle love story. But it was so much different than I thought! I am so naive sometimes! I knew that this was a suspense book but …. I was just reading along and wondering who she would pick. My first thoughts are always the person first mentioned in a story. But I was really liking Evan and saw that they were really cute with each other. As the story moves along, you start to get subtle hints of some trouble. Then later they aren’t so subtle as the story plot thickens. I realized my naivety not too long before our main character, Tia, did! Because Tia is just like me; a little naive. She trusts people and why shouldn’t she? Her friends are the whole police department!! My heart began racing when the suspense part got started. Time was ticking and I needed to go to bed but also needed to find out how this would all end! Now I need to read about some of the characters in this book that had a book of their own! I really can’t say a whole lot more without ruining it. So go and get it! If you like athletic trainers, high school personnel, hiking, suspense, Paris, High heat in Arizona, Cold temps of cottages, classic antique trucks, police, security devices, stories that have just a little violence (can’t explain without giving the story away), chocolate croissants, the man of your dreams than this might be for you! Traci Hunter Abramson was born in Arizona, where she lived until moving to Venezuela for a study-abroad program. After graduating from Brigham Young University, she worked for the Central Intelligence Agency for several years, eventually resigning in order to raise her family. She credits the CIA with giving her a wealth of ideas as well as the skills needed to survive her children's teenage years. She has gone on to write more than twenty bestselling novels that have consistently been nominated as Whitney Award finalists and five-time Whitney Award winner. When she’s not writing, Traci enjoys spending time with her husband and five children, preferably on a nice quiet beach somewhere. She also enjoys sports, travel, writing, and coaching high school swimming.